St. Paul’s opened its doors for service in June of 1901, though it was originally established as a Methodist Church. The Methodist congregation first formed in 1875 under the minister Rev. Snowden, who was a circuit rider. They would meet in a room over the town jail on Dominion Avenue; then later sharing the Baptist church before building their own church at Midland Avenue and Elizabeth Street. The congregation remained part of Rev. Snowden’s circuit until the move to King Street in 1901. A beautiful pipe organ was installed and dedicated in 1902. St. Paul’s remained a Methodist church until 1925 when it became a part of the United Church of Canada. In 1955 the parsonage to the right was razed and a large addition was built that included a basement hall, offices and parlor on the main floor and a large Sunday School room on the third floor. In 2016/17 the building was made more accessible by the addition of an improved entrance on the south west corner near the municipal parking, the removal of the main floor Sunday School rooms and the installation of an elevator. 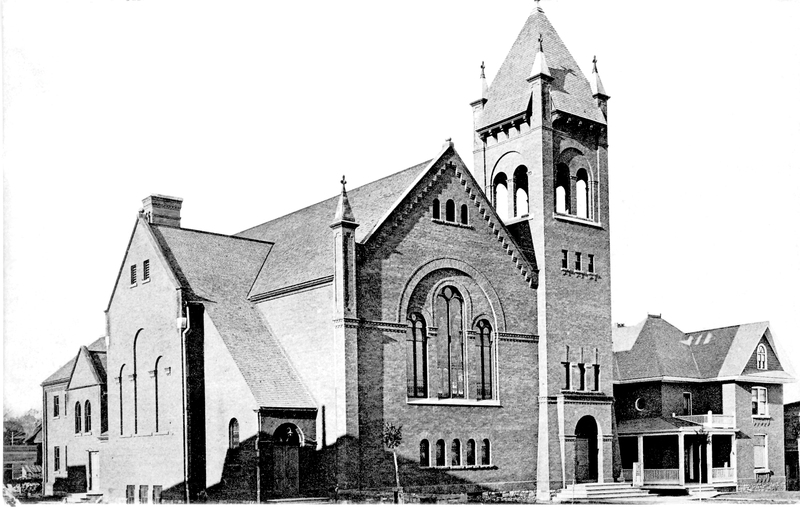 St. Paul’s United Church, Shortly after construction completed. 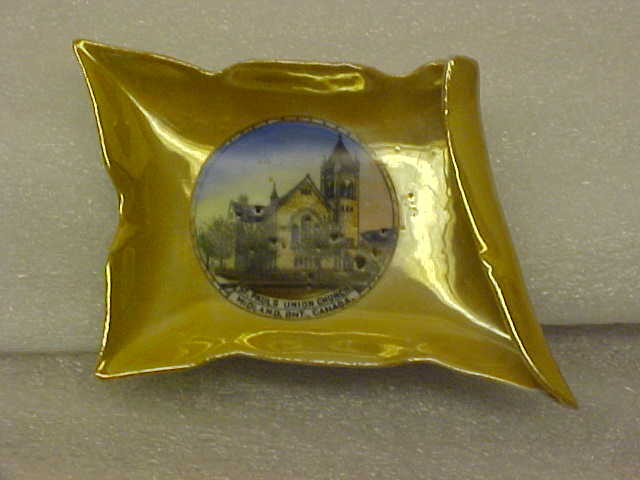 Souvenir candy dish of St. Paul’s United Church in Midland, donated by David Archer.The Huronia Museum has a collection of souvenir dishes from the Huronia area.